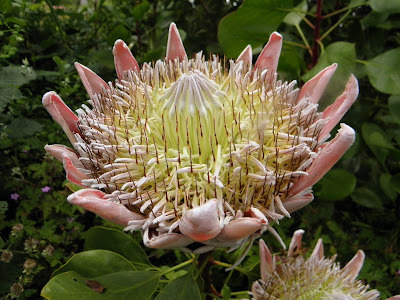 All photos taken at the San Francisco Botanical Gardens. 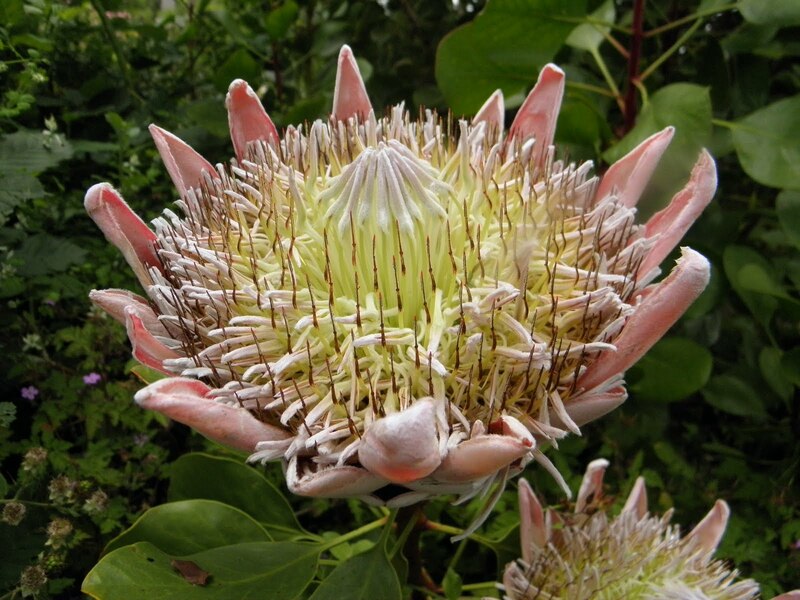 For more information on the King Protea click here. That' a unique and pretty flower. I like the one on the first photo when you take a closer look it's like a thorn. Nice photos. The flowers in these pictures are actually the same. How fun the macro shots are. These series is just stunning! Your macro shots are so fantastic..They make me smile to see.. 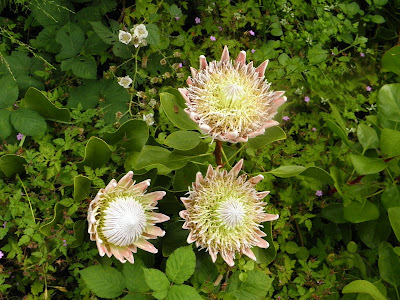 It is rare to see flowers having other than petals and stigma. 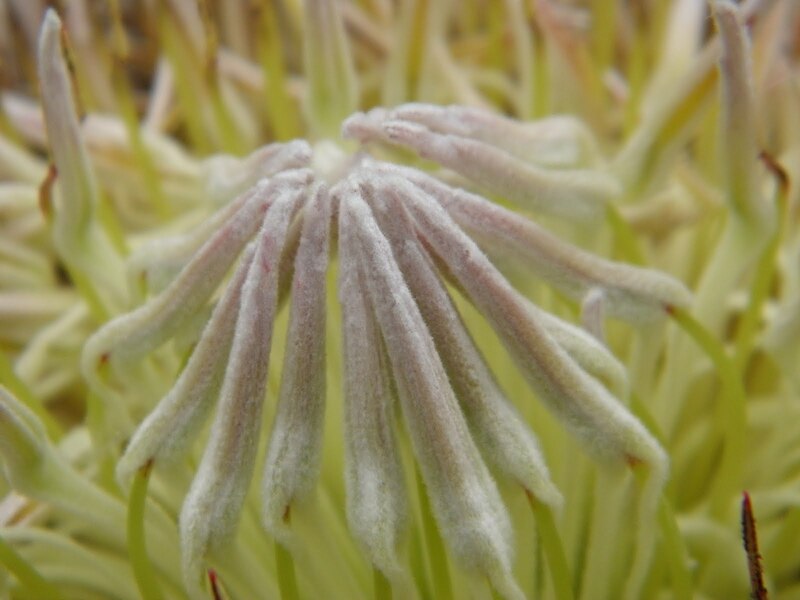 It is a flower of complex design. Perfection! wow...what an amazingly complex and beautiful flower. gorgeous photos! What a unique flower. I love it. I don't believe I have ever seen anything quite like that before. That first one is like someone offering up a token of thanks in the palms of their hands. Very beautiful. All of your flower photos are amazing! They are gorgeous! Siromade, it is very exotic, thank you. bang, thanks so much, there are so many like this in the gardens. Ann, I hadn't either or even knew about it before seeing it in the gardens. Thanks. Kass, what a great way to see it as an offering. Very cool, thank you. Beverly, thanks so much for your kind words. So large and so many layers of beauty!